This morning, after breakfast and after we had finished cleaning up, I spied a guest sitting on our deck looking out over our view. This is not unusual. Our guests often sit out there spending time with their friends or family sharing about events of their day or swapping stories of their lives. But this morning was different somehow. All the other guests had left. Some had checked out and were headed home. Others had already started their activities for the day. Even her husband had abandoned her for a quick morning nap. I had a hammer and needed to fix something that required driving a nail. I apologized for the noise and quickly finished my job. The guest was not phased and only said, “That’s Ok. I’m just sitting here doing nothing”. She went on to recount how busy their lives had been and they came to the mountains just to get away and do nothing. They had no agenda, or list of activities. They just wanted to take some naps, spend some quiet time together, and sit on the porch. This is certainly not a new concept for Hemlock Inn. We often encourage folks to come relax, refresh and renew. But his morning got me thinking more and more about the Art of Doing Nothing. Now, this is not a difficult task for us men. We can easily sit and do or think about absolutely nothing. Women need to understand that when we say we are not thinking about anything, we really mean it. Our minds are blank and we are in a zone much like a computer in “sleep mode”. But I have noticed women are bit different. Even when relaxing, their mind is going full force, organizing, planning and arranging. The point is we all need to relax more. Some relax best by doing new and different things. That’s ok too and we have plenty to do in these mountains from rafting to hiking to site seeing and much more. The change of pace and location is all they need to relax. For others, they require a bit more rest and a bit more time to do absolutely nothing. 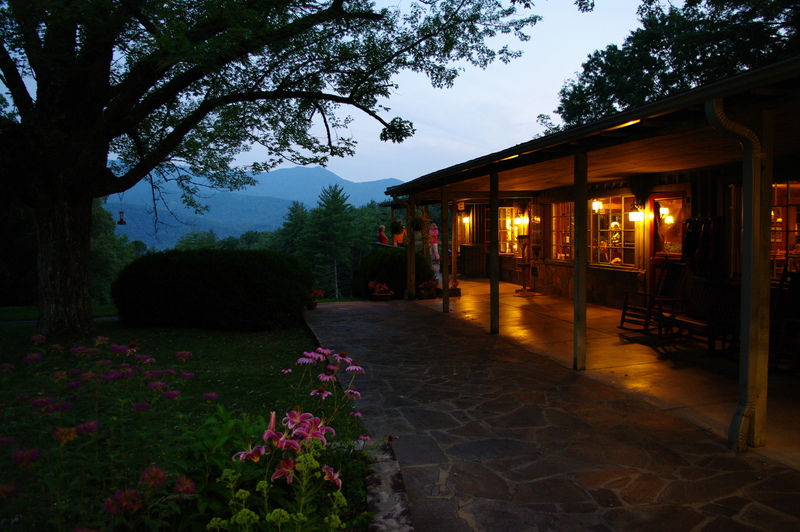 Our deck, and view, and rocking chairs are just the quiet place for that to be possible. When I was thinking about this topic, I checked the good ole internet for some pertinent quotes from famous people on the benefits of “doing nothing”. Sadly, I had trouble finding any. I’m sure exist, but my quick check didn’t uncover any. The only quotes I found where things like this…. We’ll these are all good quotes meant to motivate us and “idleness is the devils workshop” you know. I greatly admire those highly successful individuals who exist on great energy and drive. But we can’t go nonstop all the time. We also need time to ramp down. We are generally more successful when our mind and body has time to renew. 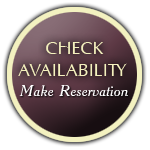 Hemlock Inn is great access point to many mountain activates for those seeking an active getaway. We also offer a place of peace and quiet and the beauty of nature. We are a great place to come and do absolutely nothing……ahhhh!